Join us and experience the reality! Was founded with a clear vision of changing the negative image of Ethiopia-as a place of poverty and famine- to a more positive and versatile image that pays adequate tribute to the intricacy of the coun- try and will transform Ethiopia from an underrated travel destination to an appealing one. We invite you to come to Ethiopia and experience a country of centuries-old history and culture, a bio-diversity, a country striving for development and progress, and hospitable people welcoming you with open arms. Image Ethiopia Tours operates tours as diverse and many-sided as Ethiopia itself. From ragged mountain peaks through the wide and lush valleys to the captivating salt desert Dallol and Ert Ale active volcanoes in the northeast. 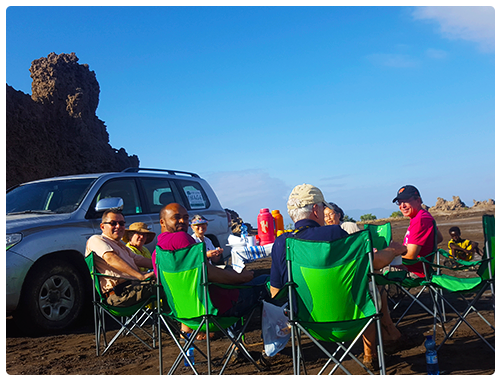 You may trek in the Simien or Bale Mountains, or go birding in the Great Rift Valley or go on game drives in the Awash, Nechasar, Mago and Omo National Parks.